This website was constructed to honor those combat Marines and Navy Corpmen that served in Vietnam in Hotel Company, 2nd Batallion, 5th Marines Regiment, 1st Marine Division from 1966 – 1971. Here is their true story and first hand experiences of the Vietnam War. This website contains the names of all who served in Vietnam in Hotel 2/5, an infantry battalion in the United States Marine Corps. As information is collected, we continue to add additional information about each of these Combat Marines and Navy Corpsmen. The information is researched and added to this site after being verfied. It is our goal to tell the story of the “Vietnam Conflict” from the combat Marine’s perspective. 2nd Battalion, 5th Marines, one hundred years old in 2014, is the most highly decorated infantry battalion in the history of the United States Marine Corps. The Second Battalion, 5th Marines was activated in July 1914 and immediately sailed to the Caribbean to protect U.S. interests in the Dominican Republic and Haiti. The Battalion returned to the United States in late 1914. In June 1917, the Battalion sailed for France with the Fifth Marine Regiment. During World War I, the Battalion participated in the Battle of Belleau Wood, Soisson, and the Meuse-Argonne Campaign. For these actions, the Battalion was twice awarded the French Croix de Guerre with Palm and once with Gold Star. The Fourragere representing these awards is worn today by members of the Fifth Marine Regiment. 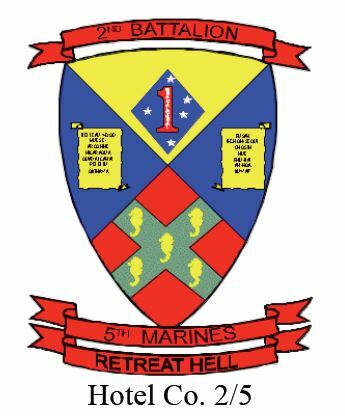 The 2nd Battallion, 5th Marines motto is: “Retreat Hell!”. This motto comes from the French trenches of World War 1, the 1918 Battle of Belleau Wood. As the Marines approached the site of what would become known as one of the Marines Corps’ most famous battles, retreating French soldiers told the Marines that they must retreat before the German onslaught. Marine Captain Loyd W. Williams, a company commander in 2nd Battalion, 5th Marines was ordered to retreat and replied, “Retreat? Hell, we just got here!” Our motto reflects the fighting spirit of the Marine Corps, the Corpsmen, and sailors who have served in 2/5 ever since that famous battle. During their years in Vietnam, Hotel Company conducted expeditionary, combined-arms combat, and mechanized operations in the I Corp Region of Vietnam and has lived up to our motto in the battles and campaigns we fought in throughout our years in Vietnam. Hotel Company was one of four combat companies attached to the 2nd Batallion, 5th Marines Division, 1st Marine Division while serving in Vietnam. Others included Echo Company, Foxtrot Company, Golf Company, H&S Company, and Weapons Company. Hotel Company has always taken care of their own. We who served in Hotel will always be family. We are forever dedicated to carrying for our “brothers”. Our call to serve in Vietnam placed heavy demands and sacrifices on each one of us and our families. We fought in our Nation’s longest (at the time), most controversial war, where we never lost a battle but eventually lost the war. We will continue to provide annual reunions to check in with “family”, spend time remembering our own fallen “brothers”, and reminiscing about those past days in Vietnam. 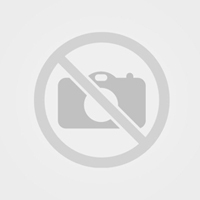 This website is managed and suported by personal funds provided by Larry D. Tyler of Hotel 2/5 1969.